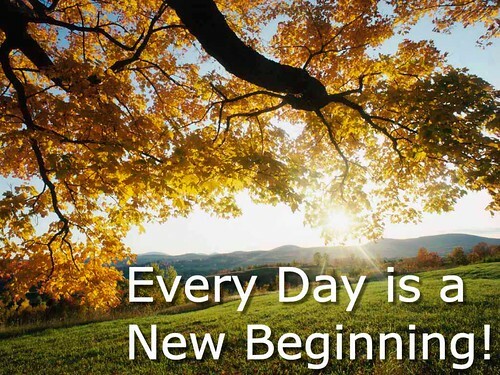 Every Day is a New Beginning! Forget yesterday - success or failure - forget it! Today is now and is the perfect opportunity to be your best. 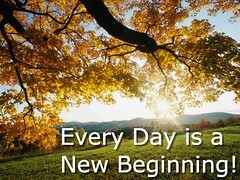 Every morning when you open your eyes and your feet hit the floor - remind yourself that "Today is My New Beginning!"